Africa's fastest supercomputer was unveiled in June, and is already transforming science. It brings a much needed African perspective to computationally-intense science. Lenagau, fastest African supercomputer, debuts at 121 in Top500. African scientific landscape already transforming due to Lengau capabilities. Lengau part of updated cyberinfrastructure that is solving African-centric questions. The fastest animal on the planet just got a rival in South Africa. 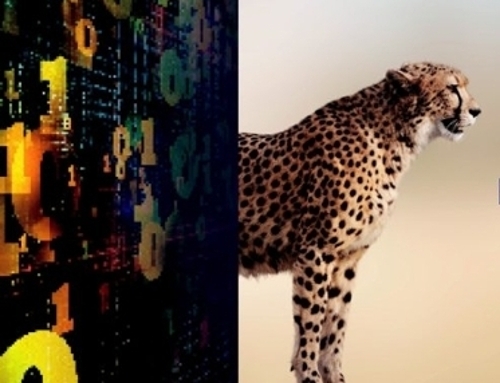 Lengau ('cheetah’ in the Setswana language) is ranked 121 on the Top500 list of the world’s fastest supercomputers. Over 24,000 cores and a speed of 1,000 teraFLOPS (1 petaFLOPS) make Lengau the fastest computer in Africa. Whether it’s used for bioinformatics, climate and environmental studies, astronomy and astrophysics, or materials science, few can rival Lengau’s potential when it comes to solving the grand challenges deeply rooted in Mother Africa. Nicola Mulder’s group from the Department of Infectious Disease and Molecular Medicine at the University of Cape Town in South Africa uses Lengau for next-generation sequencing data analysis. Her team is genotyping full human genomes of African populations. Lengau gives Mulder’s team a competitive edge since they can analyze data locally, and therefore produce results faster. Before Lengau, there wasn't an earth system model developed through an African lens. Francois Engelbrecht and his team are creating just such a model. It will be used to make the first African-led contribution to the Coupled Model Intercomparison Project 6 (CMIP6) and the Intergovernmental Panel on Climate Change (IPCC) Assessment Report 6 (AR6). With an atmospheric model developed by the Australian Commonwealth Scientific and Industrial Research Organization (CSIRO), Engelbrecht’s team used Lengau to produce the largest ensemble of climate simulations ever performed for the African continent. The simulations were made for a 140-year period between 1961 and 2100 for low- and high-mitigation emission scenarios. South Africa’s Karoo desert will host instrumentation for the Square Kilometer Array (SKA) — scheduled for full production in 2020, and destined to be the world’s largest radio telescope. 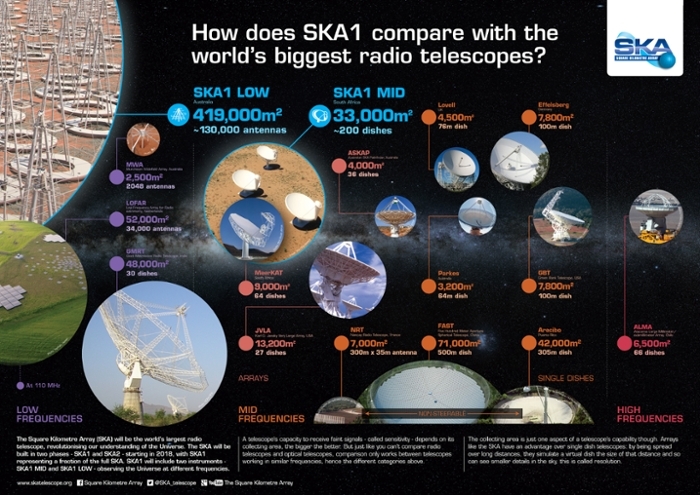 As described on their website, SKA is expected to be powerful enough to detect radio waves from objects that are millions or billions of light years away from Earth. It will operate over a range of frequencies and its size will make it 50 times more sensitive and up to 10,000 times faster than today’s best radio telescopes. “Lengau is a big step up in computational resources for South Africa,” says Jasper Horrell, general manager for science computing and innovation at SKA South Africa. According to Horrell, Lengau will support parts of the scientific data analysis for the MeerKAT radio telescope, South Africa’s SKA precursor instrument which is coming online in the Northern Cape. South Africa holds some of the world’s largest mineral reserves and hosts primary processing facilities for these natural resources and on-ramps to global transportation routes that support commerce and growth. 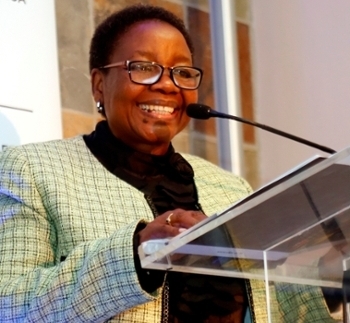 The addition of an advanced cyberinfrastructure has therefore made South Africa the perfect laboratory for materials science and engineering innovation and discovery. University of Limpopo computational modeling scientist Phuti Ngoepe and his associates use supercomputers to develop models of minerals that bear precious group metals. Their models help optimize reagents that extract minerals from such ores, and could lead to the discovery of uncharted reefs. “Since related simulations are computationally-intensive, remote access to Lengau via the South African National Research Network (SANReN)’s high-speed network allows us to progress at a competitive pace from our Limpopo lab more than 1,700 kilometers away from Lengau,” says Ngoepe. As the world transitions away from fossil fuels, batteries are expected to gain prominence with transportation and electrical applications. Battery research requires mastery of computational physics, chemistry and materials science, and there’s a global competition to develop batteries that charge faster and last longer, while being smaller, safer and affordable to the masses. 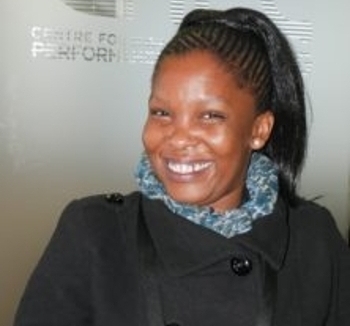 Research scholar Sylvia Ledwaba is helping Ngoepe develop simulations of synthesized complex structures to help predict the performance of lithium battery electrodes. They are exploring a variety of materials that promise to be more powerful and smarter. Manganese, for example, is abundant in South Africa and widely used in battery cathodes.